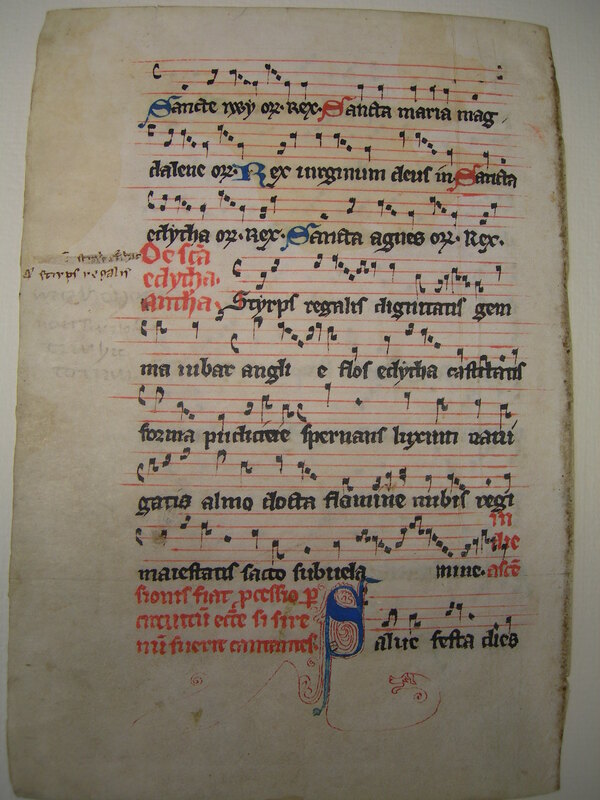 This leaf is from a 13th-century English gradual, and measures 18 x 12cm. 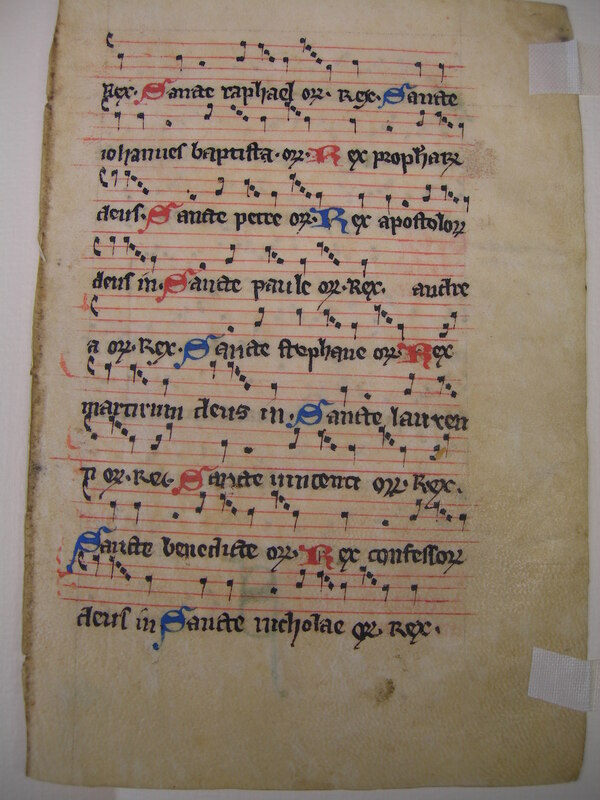 See Denison University Leaf 08 for more information about this manuscript. Text: This is a litany of prayers; an extended text on St. Edith is on the verso. In Ege's original manuscript, it may have been near what is now Leaf 08 in the Ohio State University portfolio. Sancte paule or rex. audrea or. rex. Sancte [ ] or. rex. Styrps regalis dignatitis gemma iubat angli e flos edytha castitans forma pudicrere speruans luxum nauigatis almo dosta flamine nubis regi maiestatis facto subuela mine.